Summertown Construction, LLC. is a licensed and insured general contractor in the state of Tennessee and specializes in Commercial, Industrial, & Residential construction. Summertown Construction is also a fully authorized dealership of A&S Steel Building Structures. Summertown Construction, LLC. is a licensed and insured general contractor in the state of Tennessee and specializes in Commercial, Industrial, & Residential construction. 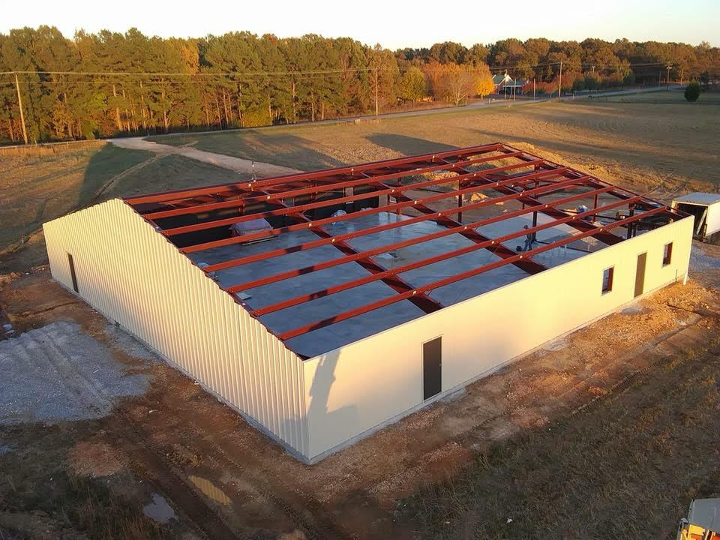 Summertown Construction is also a fully authorized dealership of A&S Steel Building Structures. Together, Paul McBride & Terry Potts brings 43 years experience in the construction business. With lower overhead, Summertown Construction can offer quality construction projects at a lower cost to our customers. We’d love the opportunity to work with you on your next big project! Give us a call today or browse our services to get started! Summertown Construction, LLC constructs new homes throughout the Columbia, Maury, Lawrenceburg, Lawrence, Pulakski, & Giles Counties. All of the houses we build are customized to meet your individual needs. Whether you’re looking to work with an architect to build your floorplan from scratch, or looking to have a specific floor plan built, we can take of it. We provide complete home remodeling services that increase the value of your home and make it more enjoyable for you to live in. All of our work is custom, so you are ensured to get the look you want at prices that are unheard of in Middle Tennessee. You get to pick out everything from start to finish, and you are able to see your house during every stage of construction. We're proud of our workmanship and love to be given the opportunity to share our work. If there's something you're looking for that you don't see here, or in our gallery, please don't hesitate to contact us for a sample of the work you're looking to get completed. Summertown Construction gave me 110%. Quality work & hometown attention to detail. Best choice we made out of all the Contractors. I have had the privilege of working with Summertown Construction on different occasions. Their work is of great quality and has always been completed on schedule. Terry Potts and the Summertown Construction team is all about their community and going the extra mile, donating their time and equipment. Thanks so much! Is a licensed and insured General contractor in Columbia. They Specialize in commercial, industrial, and residential steel buildings. They are a fully authorized dealer of A&S steel building structures. Summertown is an unincorporated Town situated between Lawrence County TN and Maury County TN. Interesting landmarks are as follows: The farm (an intentional community), Plenty International (a human rights group). If you prefer the outdoors, you can find Stillhouse hollow falls state natural area nearby. In Main St. you can find Dawns Deli for some of the best diner food you will ever taste. How to reach Summertown Construction from Columbia TN.